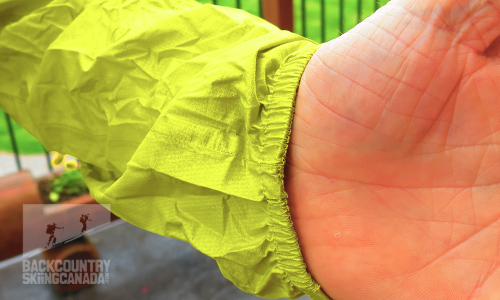 If you're, like me, you hold up a fanny pack style K-way jacket with the tri colour waist strap as a great example of an ultra light waterproof jacket, prepare to shift allegiances. The lowdown. 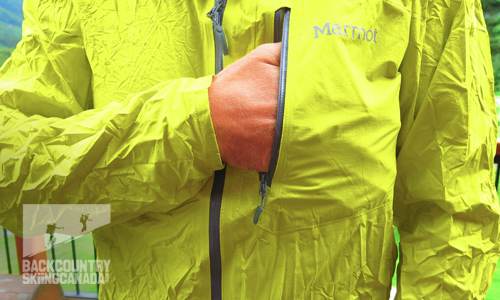 The 2014 Essence is Marmot’s newest update in a line of ultra light waterproof breathable jackets aimed at the minimalist backcountry or extra-urban user. Boasting an updated breathable membrane and some slick yet simple features the Essence is a jacket you’ll have along for those days when the weather starts to rain on your parade. At $200msrp, you might want to be careful on just when you bring it out of the pack though. I’ve had the Marmot Essence on the coat rack for about a month and it’s been out with me on over a dozen outings. The Essence is a completely paired down waterproof breathable shell. It is ultra light, truly. The newest generation comes in at under 6oz, 5.7oz according to the manufacturer. 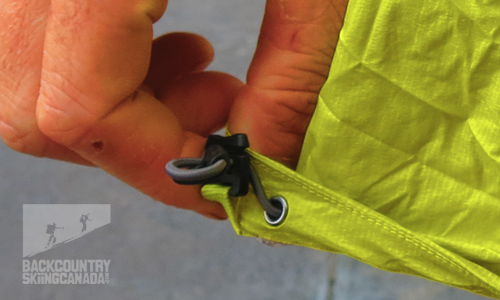 It scrunches up small enough to be in a pack and forget item, and the ultra-bright yellow colour can be used to signal passing aircraft in the event of a backcountry emergency. It also comes in red and blue, or black for you backcountry ninja types. 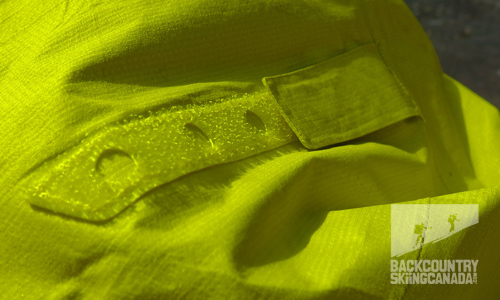 The reason I’ve had the Marmot Essence with me on so many outings is simply because it’s barely noticeable (if you’re not talking about the, brighter than the sun, safety yellow quality that is). 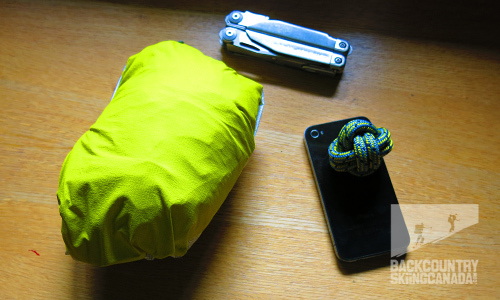 Out of the package the Marmot Essence rolls into a ball roughly the size of a thick pair of socks and weights about the same. I tossed mine into an itty bitty stuff sack and dropped it into my pack for an early season multi-pitch climb on the Squamish Chief. I pulled it out during belay stances to cut the wind and the athletic cut of the Essence fit well around my harness. It was roomy enough in the shoulders to allow for easy movement but it’s not a climbing specific jacket and the arms did ride up slightly when making for those high reaches. I should have been focusing more on my footwork anyway. Given that the Marmot Essence is an ultra-light breathable I didn’t wear it while shimmying up chimney features as it would not hold up against the sharp granite crystals, and I have similar misgivings about any serious bushwackery. That however doesn’t take away in the least its usefulness as a rain or wind shell. Luckily I didn’t have to test its waterproof capabilities while hanging on the cliff wall. The Marmot Essence isn’t quite a no-frills offering however. If you want ultra-ultra light waterproof I’ve got a box of 30 heavy-duty trash bags that individually pack down smaller than anything on the market and cost less than a dollar a piece. Garbage bags are not breathable so it’s a moot comparison. 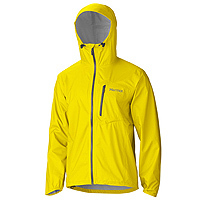 The Essence by contrast comes with a full sized hood that just fit a climbing helmet, a slick adjustable Velcro tab to keep the brim in place, shock cord cinch at the waist and full length front zipper, chest pocket, and a high-ventilation open pit design that shed water extremely well while promoting significant air flow. All this in a well fitting package. Aside from my day on the rock I took it along for an easy scramble, a few runs including a 20km trail run in heavy rain and a day out with the boys doing up and down laps on some muddy bike trails. The Essence held up well for all of the lighter duty efforts and was never a burden to have along. On one of the warmer trail runs, I simply held it in one hand after the sun came out. 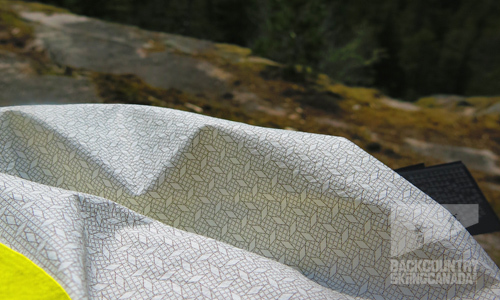 The Marmot Essence marketing materials boast some fancy verbiage to go along with its new NanoPro™ Membrain [sik] Waterproof/Breathable Fabric. Its ultra-light-weight nails what it sets out to accomplish, to serve as a great lightweight shell for the minimalist. The Essence offers a quality breathable fabric, with simple features and minimal weight for a fair price. 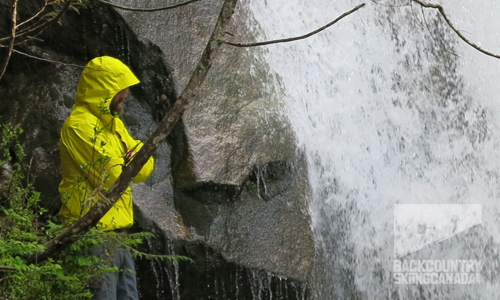 Like any waterproof breathable, if you’re really working, you’ll be wet on the inside. 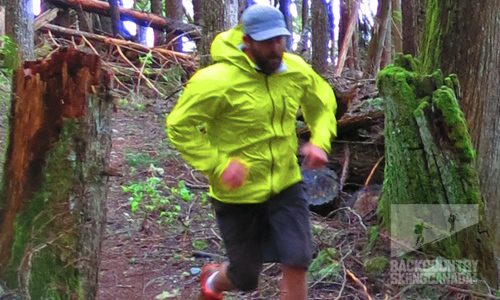 Activities like peddling a downhill bike up a logging road, or hard running will max out the breathability of the coat, but as the saying goes the only real waterproof breathable is an umbrella. That said, if your expectations are reasonable you would be happy with the Marmot Essence. The only failing I noticed during my use of the jacket was a slight discolouration of the membrane (Membrain™). It didn’t appear to be a delamitation issue but it hinted at that in the future. I have used the coat in heavy rain a few times since and it doesn’t appear to reduce the repellency or the breathability. A great jacket with just the right balance of features to minimalist design to make it a necessary addition on the majority of your adventures. Whether you’re a backcountry ninja or flagging down aircraft with that super-bright yellow, you’ll be stoked with the Essence of its design. Go light, go fast. - Super light, and packs small so you won’t notice it the weight or space necessary to have it along on your next mission. - Good breathability. 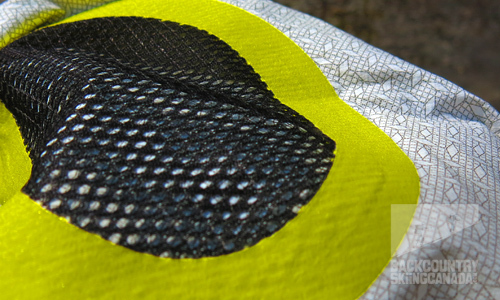 Simple design innovation of well covered pit flap and mesh interior provide significant venting capacity while doing away with the bulk of pit zippers. - Simple and functional cut provides good range of motion and large hood has the features to go from covering a helmet to staying in place on a run. - Laminate less durable than an ePTFE (expanded polytetraflourthylene) jacket so additional care is necessary. 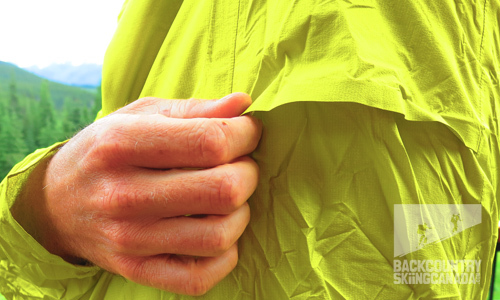 - Only one pocket at the chest means you can’t slip your hands out of the wind or carry anything too sizable.